Every time we turn around, Roger Waters, the outspoken musician and sometime member of the band Pink Floyd, keeps proving to be worse than we thought he was. On this site, we’ve written at length about his self-righteous efforts to shame other performers into canceling gigs in Israel. In an open letter to Bon Jovi, for instance, he accused the fellow rocker of standing shoulder to shoulder with baby-burners and child killers and, hence, of committing “the greatest crime of all.” In another piece, Waters accused singer Robbie Williams of “showing a chilling indifference” to the welfare of Palestinian children, who, he claimed, are viewed by Israel as nothing more than “grass to be mowed.” In yet another missive, he told chanteuse Dionne Warwick that she was ignorant of Israeli history. “In Waters’ world,” commented Israeli writer Lilac Sigan, “there is no Hamas, and this terror organization doesn’t live by its sword, doesn’t swear to death and violence, and doesn’t rule the Gaza strip with primitive Shariya law.” As we’ve pointed out, this wasn’t exactly true: Waters knows all about Hamas – and proudly stood up for them in a 2012 U.N. speech. His Jew-hatred is real. He’s a chilling, reprehensible piece of work. And here’s a new wrinkle. During the last few years the media have covered the multiparty effort, fronted by a New York attorney, Steven Donziger, to extort billions of dollars from Chevron. This flimflam, in which several people invested substantial sums in hopes of making millions, has come to be known as the “Chevron Shakedown.” The case is now closed; Donziger has been disbarred. But during the investigators’ mop-up, the names of some of the people who invested in Dongizer’s scheme came to light. One of them was Roger Waters. Waters, as it happens, has publicly accused Chevron of “greed,” just as he’s charged Israel with child-killing. Consistently, as with his attacks on Israel, he acts as if he’s the voice of morality, occupying the high moral ground. But when you publicly accuse a company of greed even as you privately invest in a sleazy shakedown scheme aimed at fleecing that same firm, there’s nothing remotely high-minded about it. On the contrary, it’s duplicitous and sleazy, period. But knowing what we already knew about Roger Waters, we shouldn’t be surprised by his involvement in this sordid scam. Time to revisit Roger Waters. In November 2015, we spent several days pondering the aging rocker and former Pink Floyd front man. We noted that in 2012, he defended Hamas terrorists, characterizing them as victims of Israeli “apartheid,” “ethnic cleansing,” and “occupation.” In 2013, his concerts featured “a pig-shaped balloon adorned with Jewish symbols, including a Star of David.” He also compared Israelis to Nazis. “The parallels with what went on in the 1930s in Germany are so crushingly obvious,” he said of the supposed Israeli mistreatment of Palestinians. In 2015, Salon ran an open letter by Waters to singer Robbie Williams, who was scheduled to perform in Tel Aviv. Waters informed Williams that Israelis view Palestinian children “as grass to be mowed” and instructed him that if he took the stage in Israel, he would be supporting “the deaths of over 500 Palestinian children last summer in Gaza…and condoning the arrest and abuse of hundreds of Palestinian children each year living under Israeli occupation.” Later that year, Salon published an even more virulent rant addressed to the band Bon Jovi, whose members he accused of being complicit in the murder of babies. We were so awed by Waters’s bile that we named him one of the top ten stooges of 2015. Blaming the Jews for their own misfortune…isn’t a new trick. It’s been a seminal feature of anti-Semitic rhetoric for millennia, and it served well squadrons of hissing haters who argued that if so many people want to exterminate the Jews, well, it must be for some good reason. But the modern incarnation of this ancient hatred is particularly grotesque: Speaking the hollowed-out language of the regressive left, Waters not only blames the Jews for their own troubles, but does so while claiming to be a champion of human rights. He’s telling his fans that it’s very important to take anti-Semitism seriously, and then adding that the only way to do it is to target the Jews. On April 28, Salon ran a remarkable piece by Roger Waters, the musician and former member of Pink Floyd. 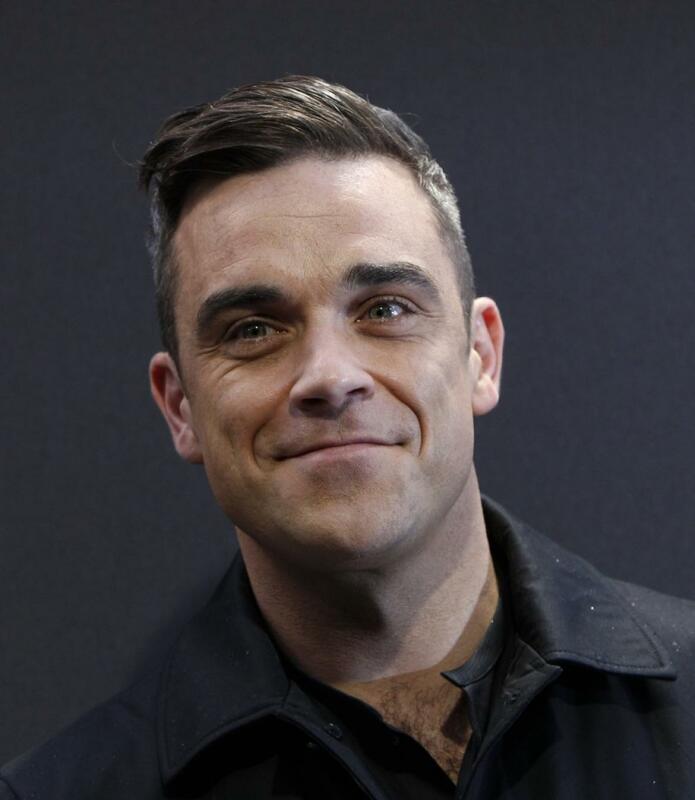 In it, Waters addressed an upcoming Tel Aviv gig by British singer Robbie Williams. Noting that Williams was “UNICEF’s UK ambassador and a declared supporter of its Children in Danger campaign,” Waters charged him with “showing a chilling indifference” to the well-being of Palestinian children and called on him to cancel his appearance. If you cannot see yourself in the eyes of a Palestinian father, you should do the decent thing and resign from UNICEF, or failing that, UNICEF should let you go. Since Israeli fans no longer deserve your presence in the only democratic nation of the Middle East, I encourage you do a show in the heart of Gaza City. You could float one of your giant, pig balloons in the air with an Islamic Crescent moon and caricature of Muhammad on it. Then, you could utilize the freedom of speech that you currently use to voice your sophomoric (at best) understanding of the Middle East by telling Hamas that it’s the real enemy of the Palestinian people. I think only then, as the crowd publicly stomps you into the ground and drags you half-alive through the streets of Gaza, will you understand the true nature of Israel’s predicament. What is presented to you as innocent victims struggling for freedom, is in reality uncompromising cultural intolerance at a level so antiquated that is difficult for many westerners to comprehend. Not even this, however, stirred Waters out of his moral slumber. In fact – as we’ll see tomorrow – he took his attacks on fellow performers to a new height. 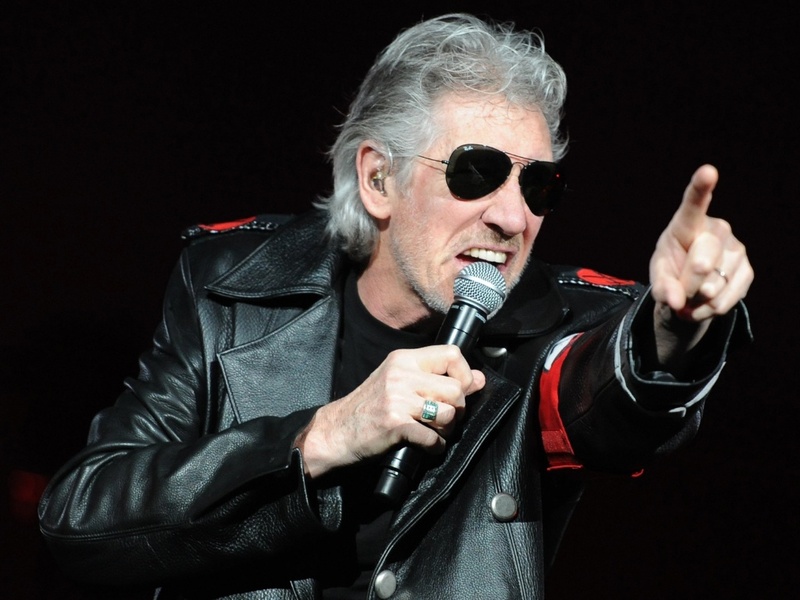 Yesterday we saw how, in December 2013, musician Roger Waters, formerly of Pink Floyd, compared Israel to Nazi Germany – only to be taken to school, as it were, by Rabbi Schmuley Boteach, who in an epic takedown for the New York Observer spelled out to Waters the error of his ways. In Waters’ world there is no Hamas, and this terror organization doesn’t live by its sword, doesn’t swear to death and violence, and doesn’t rule the Gaza strip with primitive Shariya law. In the imaginary world he presents there are no rockets, and Hamas hasn’t fired thousands of them at Israel this summer, aiming at 75% of the Israeli population which was saved by the Iron Dome. In his world Hamas has not exploited Palestinian funds in order to purchase arms and build military tunnels with supplies that were intended to build Palestinian homes. In his world Hamas doesn’t exploit the UN facilities for military purposes, and doesn’t hold public street executions of Palestinians who dare to protest…. Sigan was, as it happens, wrong about one thing here: Hamas does exist in Waters’s world; and as far as he’s concerned, they’re the good guys. In a 2012 speech at the UN, delivered in his capacity as a member of the now discredited Russell Tribunal, he stood up for Hamas, which he depicted not as terrorist thugs but as victims of Israeli “apartheid,” “ethnic cleansing,” and “occupation” who actions are merely responses to Israeli oppression and violence. donors pledged 5.4 billion dollars to rebuild the destroyed parts of Gaza. But how much of this funding will go into rebuilding Hamas and lining its leaders’ pockets instead of being used for the benefit of the Palestinians? How much of it will be used to redig the network of terror tunnels into Israel? And will forced child labor be used again in order to complete this project, in which at least 160 palestinian children tragically died the last time around? A mechanism had been agreed in Cairo with UN involvement, to ensure that international funding not be diverted to finance the rebuilding of Hamas’s military capabilities. But sources in Gaza said there was no practical way to control how such money would be spent. If one truly cares for Palestinian children, all of these facts should be a huge concern…. Waters declared that Palestinians should enjoy the same freedoms that he enjoys. That’s a very nice thought which no-one could disagree with, but one should remember that no Palestinian, whether child or adult, will enjoy any freedom at all as long as Hamas is in charge and doesn’t change its ways. But Sigan’s piece didn’t wake Waters up, either. On the contrary. 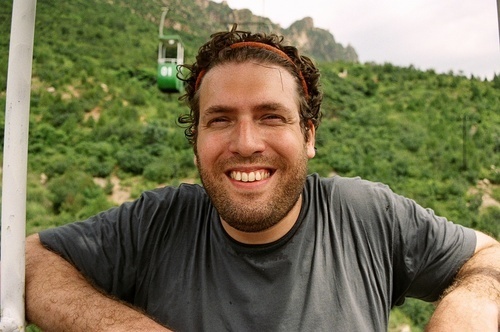 Even as he’s been presented over and over again with the plain facts about Israel’s predicament and Hamas’s ideology, he’s clung more and more stubbornly to his black-and-white picture of the situation – and attacked, with increasing vitriol, those members of his profession who have dared to go against him by performing in Israel. We’ll get to that tomorrow. the Nazis were a genocidal regime that murdered 6 million Jews. That you would have the audacity to compare Jews to monsters who murdered them shows you have no decency, you have no heart, you have no soul. The Jews of Germany did nothing to invite the aggression against them. Indeed, they were loyal citizens of a country that many of them had fought for courageously just 20 years earlier in the First World War. They did not blow up buses for political purposes. They did not send terrorists into schools to murder children. They did not preach that killing German children would get them virgins in heaven. They lived lives of humanity and decency and were murdered for no other reason than the fact that they were Jews. You have disgraced yourself by comparing the martyred 6 million, which included 1-and-a-half-million children who were gassed to death in cold blood, to Palestinian terror organizations like Hamas, whose stated intention it is to wipe Israel off the map. channeled the billions they received as the world’s largest per capita recipients of international foreign aid into rockets rather than hospitals, bombs rather than universities. And they intentionally launch their rockets from nurseries and schools rendering the innocent Palestinian population into human shields, not surprising for an organization that regularly murders Palestinian homosexuals under the false accusation of collaboration and engages in honor killings of young Palestinian women whose only crime is to have a boyfriend. Yet – as we’ll see tomorrow – it was all lost on Waters.